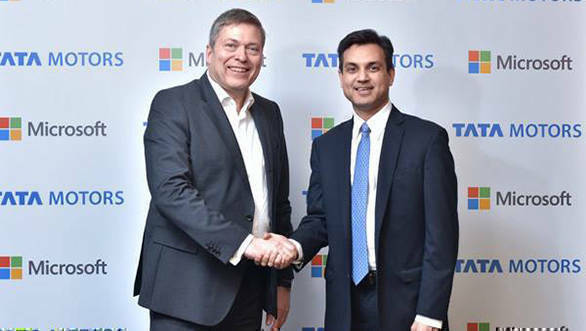 Tata Motors has announced a strategic collaboration with Microsoft India to improve personalised driving experiences using Microsoft's connected vehicle technologies powered by Azure cloud. The first vehicle showcasing these technologies will be unveiled at the Geneva International Motor Show on March 07, 2017. "Using IoT (Internet of Things), AI (artificial intelligence) and machine learning technologies, we will provide vehicle owners in India and across the world a safe, productive and fun driving experience," said Anant Maheshwari, president, Microsoft India. 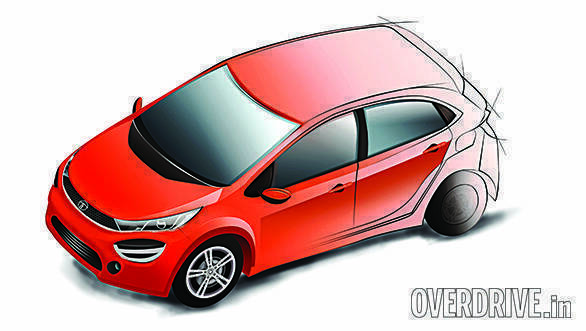 Tata Motors' new vertical TAMO will first use this technology, and then the wider Tata Motors stable will follow suit. 1) Vehicle owners, based on their profile and location data, can receive proactive point-of-interest as well as shopping and route assist recommendations. 2) Pre-emptive service alerts based on vehicle health data will enable owners to avoid costly down time en-route on planned road trips. 3) Vehicle owners can also update key vehicle settings remotely, over the cloud, using firmware over the air (FOTA) and software over the air (SOTA) updates protocols. These will help cloud-based diagnostics and the ability to use insights from vehicle data to prevent warranty and recall issues. 4) By capturing, analysing and acting on live road conditions, vehicle owners will be able to increase safety and optimise vehicle performance by avoiding roadblocks and rough terrain. By unifying navigation, data elements like maps, weather, traffic and parking, the solution can deliver optimised routing and location-based services to vehicle owners. Although Tata has a forgettable Q3 FY17 with a 96 per cent drop in its consolidated profit, the carmaker is moving towards new mobility solutions and innovations. Tata Motors recently unveiled its new sub-brand, TAMO, under which all-new Tata vehicles that aren't your run-of-the-mill products will be placed. This includes sportscars, premium vehicles and vehicles with alternative propulsion methods (hybrid, electric and maybe even fuel cell tech).